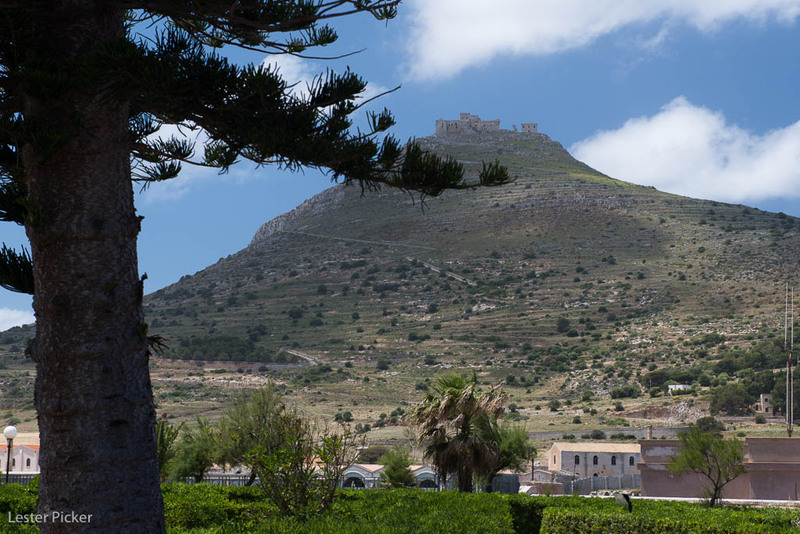 Off the coast of Trapani, Sicily, right at the point of the boot, sit the three tiny Egadi Islands. The largest is Favignana and I’m here right now photographing. I thought I’d share with you today’s adventure as an illustration of creative choice in photography. 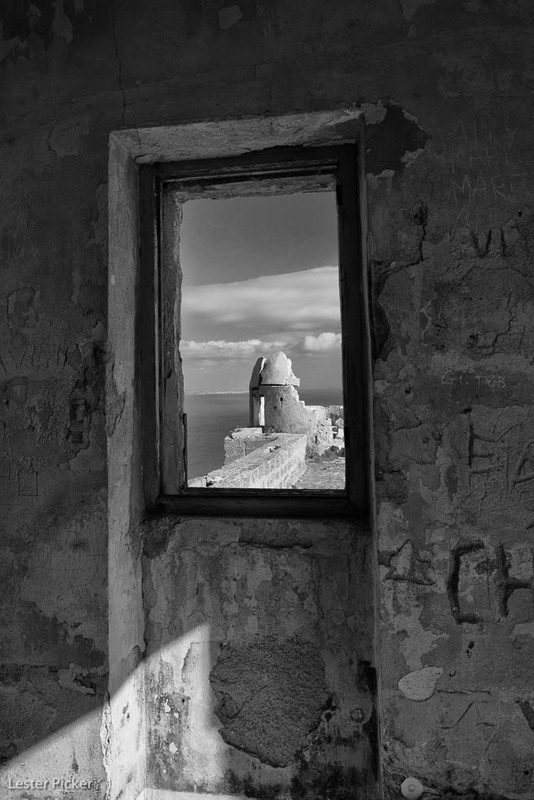 Atop the highest point of the island there is an old fortress, which some locals prefer to call a castle. My guess is that those who call it a castle have never done the strenuous hike up there. The fortress sits about 1,000 feet above the historic town (in Europe everything is historic, at least by American standards). We climbed it today and spent a glorious couple of hours exploring the land immediately around it and then poking through the abandoned ruins. As a landscape, travel and wildlife photographer, the overwhelming majority of my work is in color. 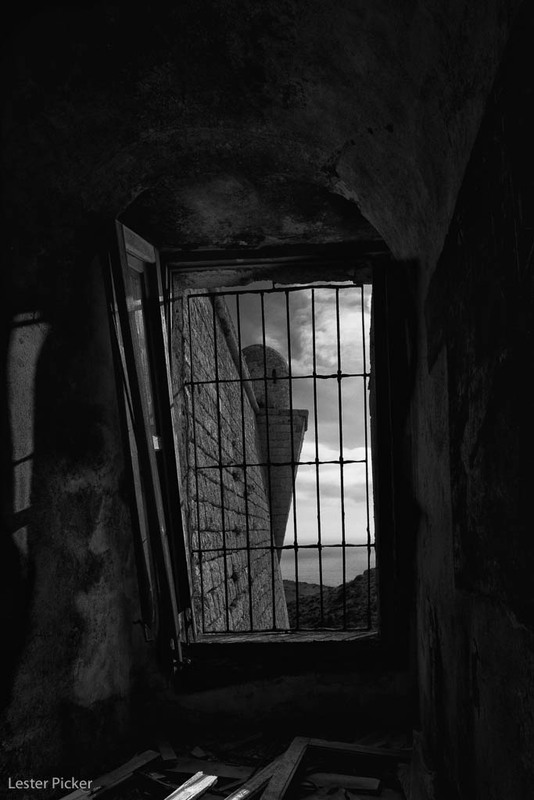 But, once inside the fortress, which is a shambles, it was obvious to me that I wanted to interpret the scenes in black & white. 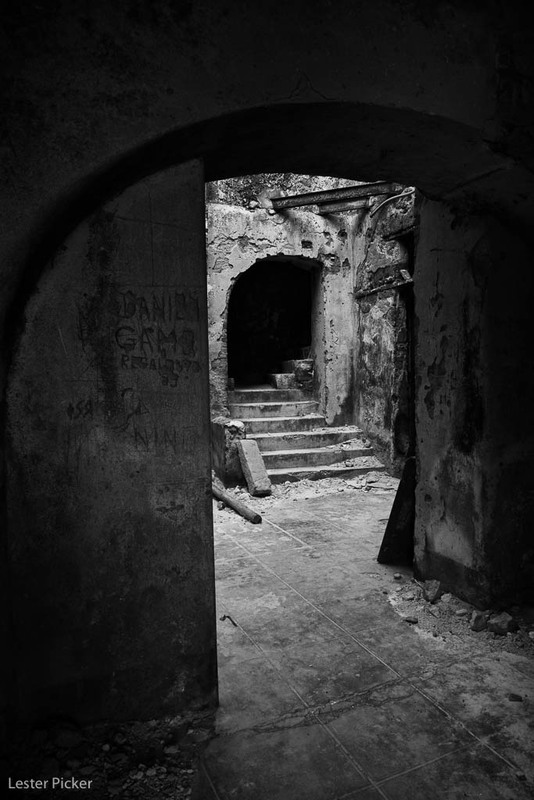 To me it had a “feel” of grittiness and abandonment that was best expressed in B&W. I’m sure that another photographer would interpret the scenes beautifully in color, and that is one of the many things I just love about photography. In any case, here are a few images from that visit, quickly done this evening as I recovered from the hike. The technical information is that all the images from today’s shoot were imported into Lightroom 4. I then selected several potentials for export into Nik software’s Silver Efex Pro, a wonderful, easy-to-use program. A few fast adjustments and here you are. Of course, when I get home I’ll post-process the original images first, then do whatever I need in Lightroom and hopefully improve on the results. As always, I welcome your comments/critiques.